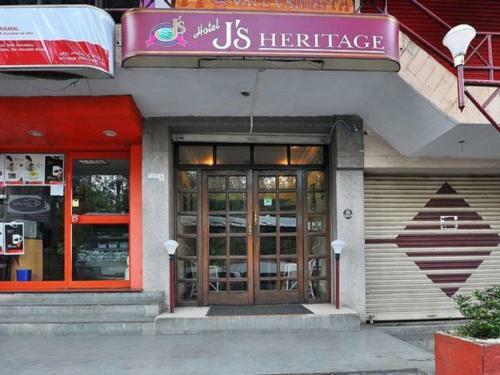 Offering a restaurant, J's Heritage is located in Kodaikānāl. Free WiFi access is available. Each room here will provide you with cable channels. Private bathroom also comes with a shower. You can enjoy city view from the room. Hotel Js Heritage - Kodaikanal classifies itself as a 3 star hotel. N.B. Please note that the star ratings are interpreted generously by the hotels in many countries. IndiaProfile.com presents online info for Hotels and Resorts in Kodaikanal. Get your room booked in Hotel J's Heritage, Kodaikanal at exciting discounts.